It’s been a few days since SQL Server 2016 RC0 was released and one of things people have blogged about is the new DATABASE SCOPED CONFIGURATIONS, where you can do modify certain behaviors at database level that before were only possible at server level, like the MAXDOP option. Also you can take advantage of new features but keep using the old cardinality estimator (prior 2014 version) by setting LEGACY_CARDINALITY_ESTIMATION at database level. Before this change you could always use a compatibility level for the database up to SQL 2012 (110), but this is way cooler! So after reading a few posts, I was wondering how the new SQL Server would behave when you write a cross database query and those settings conflict to each other, so I rolled up my sleeves and prepare this demo to find out. Also I adapted the script to do the same in the [AdventureWorskDW2016CTP3] as I would use them both to do cross database queries and have different set up for each of them. Once it’s done, let’s go for it! 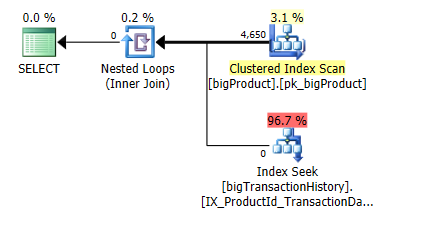 So far so good, the same query behaves differently with each cardinality estimator, that was the plan I guess. 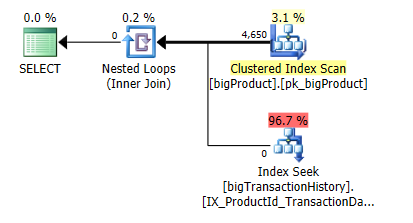 In this case the query plan goes parallel, but how is that possible if one of the databases involved in the query is restricted to use only single thread plans? That’s got a proper explanation, I guess, and it is that the query is executed under one single context (scope) and in the query above is the database [AdventureWorks2016CTP3] which is the one that is set to go parallel if needed. So in conclusion, all those new database settings are in use only when executing queries under the scope of the database, not just by simply using a table from that database, hence we must be careful to avoid surprises in the future when writing cross database queries.